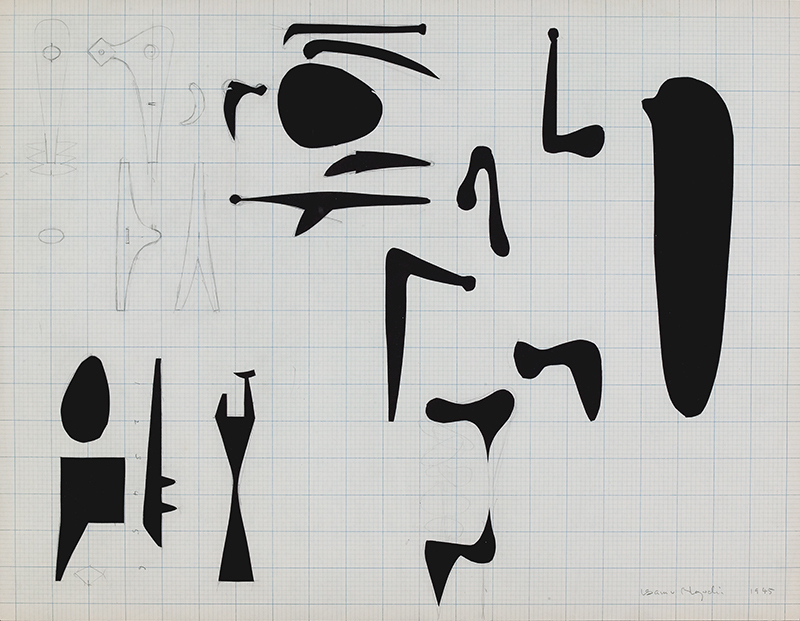 Isamu Noguchi, Work Sheets for Sculpture, 1945. Graphite and collaged graph paper with cutouts on paper, 17 × 21 15/16 in. (43.2 × 55.7 cm).